Choosing a wedding band is about more than selecting a style you love. It's also important to consider how the ring feels on your finger. For many people, rounded or contour fit bands offer a great alternative to the squared edges of traditional rings. Also called a "comfort fit band," a contour fit ring features rounded edges on the interior of the band. It's easier to slip a contour band on or off your finger, and once it's on, the band is less likely to pinch. To allow for the rounding, the ring shank is usually thicker. In choosing a contour fit style, you'll need to select the degree to which the interior of the band is rounded. At one end of the spectrum are light comfort fit bands, which have edges with minimal rounding and are generally thinner than other comfort fit options. On the other extreme are heavy comfort fit bands, which are substantial rings with very significant rounding on the interior of the ring shank. Try on several rings to determine how much contour you want. Do Your Remove Your Ring for Work? Will you need to remove your ring for work or activities? A contour fit band may make it easier to take your ring off and put it back on. Do you regularly wear rings? A contour fit band may feel more comfortable. What is your budget? Because they are thicker and require more metal, contour fit bands tend to cost more. In recent years, comfort fit bands have become extremely popular. There are hundreds of contoured ring bands on the market, so it's easy to find a ring you'll love. Your local jewelry store is sure to have a wide variety of rings with contoured bands. The advantage to buying a comfort fit ring in person is that you can try on your band to get a sense of how it feels on your finger. Since comfort is the main reason to buy a contoured ring, this is an important consideration. If you fall in love with a ring that doesn't have a contour fit band, your jeweler may be able to modify the style. Depending on the thickness of the band, the material, and whether the band is engraved, it may be possible to round the edges of the ring shank. You'll likely pay more for this custom work, but it may be worth it, if you need a contoured band. If you can't find a comfort fit style you like in your local jewelry shop, consider buying your ring online. Internet jewelry shops have more competition for your business, so you may be able to find a better deal on a contoured ring. Also, you'll have your pick of styles. Whether you choose to buy your ring online or purchase a band from a local jeweler, you'll love wearing a ring with rounded edges. In addition to being beautiful, contour fit wedding bands are practical and comfortable. 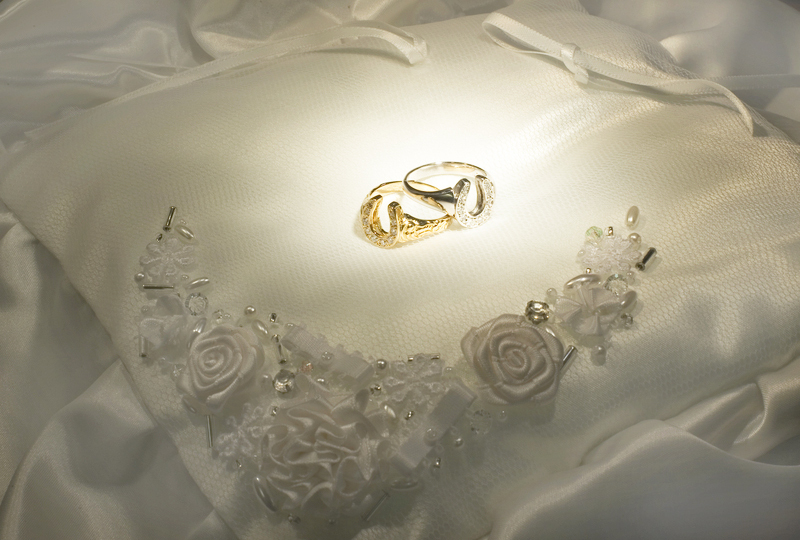 You'll admire this ring on your wedding day and for years to come.